Now you can have your (cheese) cake and eat it too, because we’ve lightened up this fall classic cheesecake with Greek yogurt. We’ve also used a bit of tapioca to help make the mixture firm enough to slice, but still delicate enough to melt in your mouth. 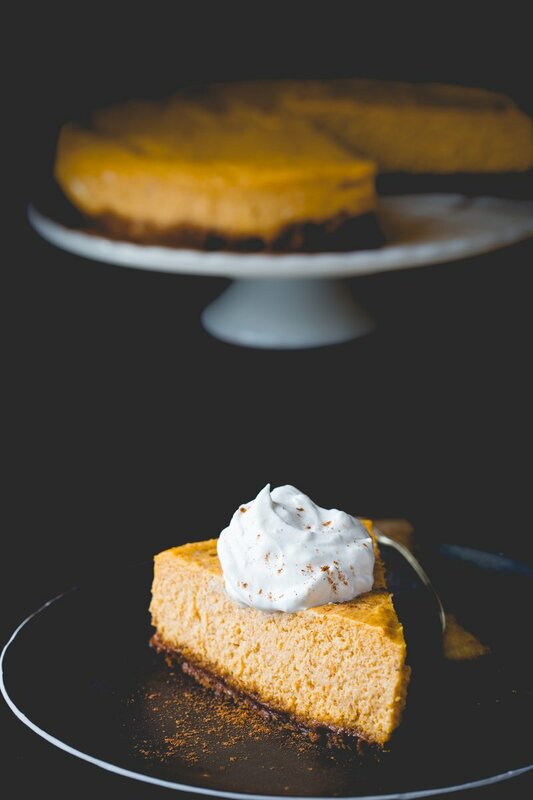 You’ll seriously never guess it’s a healthy version, since it’s just as spicy and creamy as the regular pumpkin cheesecake you’re used to. And did we mention it’s made with a yummy, crunchy gingersnap crust? Absolutely delish! Be sure to share this recipe, which makes 10 servings, with family and friends on Facebook, Pinterest, Instagram, and Twitter. They’ll thank you for it! After gathering your ingredients, begin by preheating your oven to 325°F, bringing a kettle of water to a boil, and coating a 9-inch springform pan with cooking spray. If you want to be extra precautious to ensure there aren’t any leaks while baking, you can take an extra step and wrap the outside of the pan with foil. 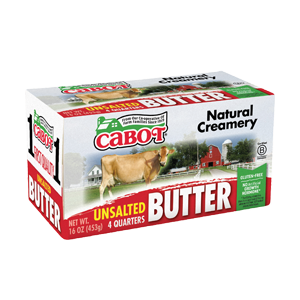 Mix cookie crumbs and 4 tablespoons Cabot Unsalted Butter in a medium bowl with a fork until evenly moist and transfer to spring-form pan, pressing evenly into the bottom with the back of your fingers. Set the pan in a large baking pan. 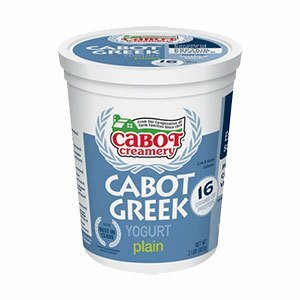 Next, beat two 8-ounce packages Cabot Cream Cheese in a large bowl until creamy, adding in sugar, pumpkin, Cabot Plain Greek Yogurt, tapioca and pumpkin pie spice, eggs, and vanilla, beating and scraping sides of bowl in between the addition of each ingredient, as detailed in instructions below. Spread the batter over the crumb mixture. When ready to put into the oven, set the baking pan on the oven rack. Pour the boiling water into the baking pan about ½-inch up the sides and then carefully push the oven rack in and close the oven. Bake and cool per recipe directions. In the mood to make another mouthwatering fall-inspired cheesecake? We highly recommend our Maple Cheesecake, made with Vermont Grade A Dark Amber maple syrup. 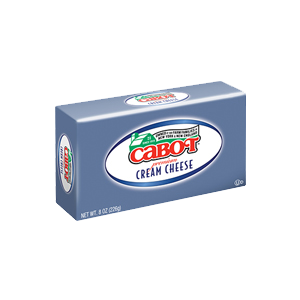 Cabot is a cooperative of over 800 farm families and has been producing award-winning dairy products for many years. We’d love to hear your feedback on this pumpkin cheesecake with Greek yogurt, so please rate and review it after you’ve tried it! ARRANGE oven rack to the center of the oven. GENEROUSLY coat a 9-inch spring-form pan with cooking spray. Wrap the outside of the pan with foil if desired to prevent leaks. MIX cookie crumbs and butter in a medium bowl with a fork until evenly moist. Transfer to the spring-form pan and press evenly into the bottom with the back of your fingers. Set the pan in a large baking pan. BEAT softened cream cheese in a large bowl until creamy. Add sugar and beat on low until evenly incorporated. Scrape sides, add pumpkin and beat in on low. Add yogurt and beat in on low. Scrape sides and add tapioca and pumpkin pie spice and beat on low to combine. Add eggs and beat on low just until combined. Scrape sides of bowl, add vanilla and beat on low to combine. SPREAD the batter over the crumb mixture with a silicone spatula. Gently rap the spring-form pan down on the baking pan (or counter) to release any air pockets once or twice. PULL the oven rack out. Set the baking pan on the oven rack. POUR the boiling water into the baking pan about ½-inch up the sides. Carefully push the oven rack in and close the oven. BAKE the cake until the center is just barely wobbly in the center when the pan is jiggled, 55 to 58 minutes. Turn off oven, and crack oven door. Let cake cool in the oven in the hot water bath for 1 hour before removing. Wrap in plastic wrap and chill overnight in the refrigerator. RUN a knife along the edges of the cake. Remove cake sides. Blot moisture from the top of the cake with a paper towel if necessary before slicing and serving. TIP: Let sit at room temperature before serving for softer texture.